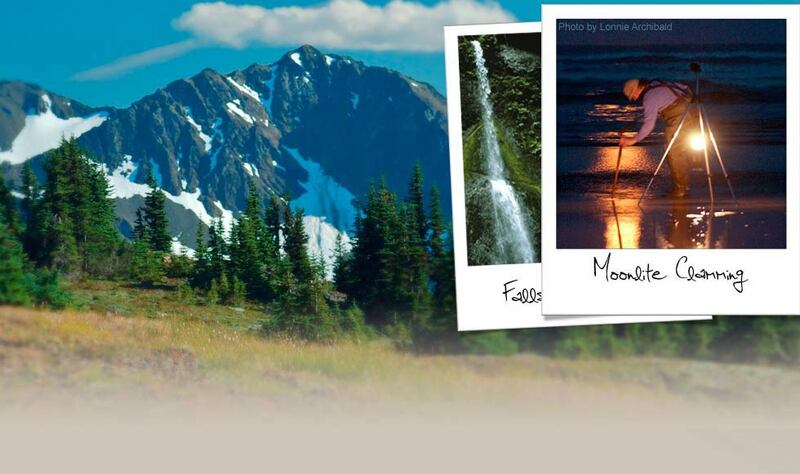 This spring the North Olympic Library System (NOLS) is teaming up with Olympic National Park to offer a fifth season of Poetry Walks. This year’s program will begin April 1 and continue through May 31. During Poetry Walks, poems will be placed on signs along the following trails in Olympic National Park: the Hall of Mosses Trail, the Madison Creek Falls Trails, the Peabody Creek Trail, and the Spruce Railroad Trail. With the exception of the Hall of Mosses trail, access to the trails is free. Hall of Mosses Trail-. The Hall of Mosses Trail is a 0.8 mile loop trail that passes through big leaf maples and Sitka spruces covered in vibrant green and brown mosses. 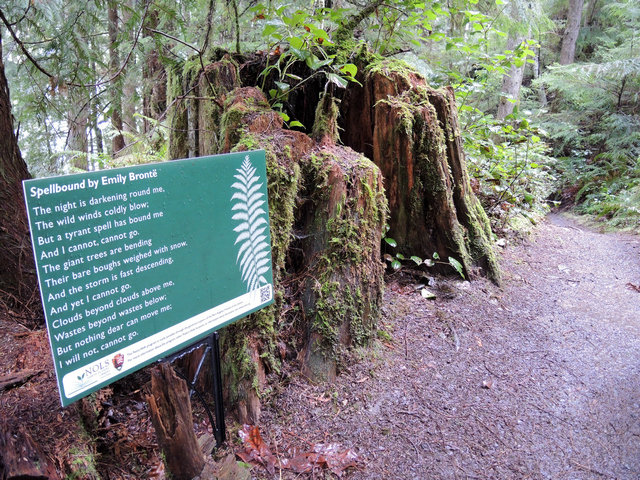 The Hall of Mosses Trail begins near the Hoh Rain Forest Visitor Center, which regular park entrance fees must be paid to access.